Behind the scenes of 2011 Libya’s bombing campaign. Hillary Clinton’s close ally in his private emails to then Secretary of State have been leaked to the press. They reveal how the UK and France were struggling to get a larger piece of the Libyan cake. Britain is using intelligence to dictate the actions of both the Libyan rebels and the Gaddafi regime – one email said. It’s unfortunate when the so-called servants of the people are calling us “useless eaters”. That was yesterday. Today, they are using a more down to earth…. “low-life scums”. Kerry is just been mentioned by Fulford as a “wife murderer”. Check it out here. 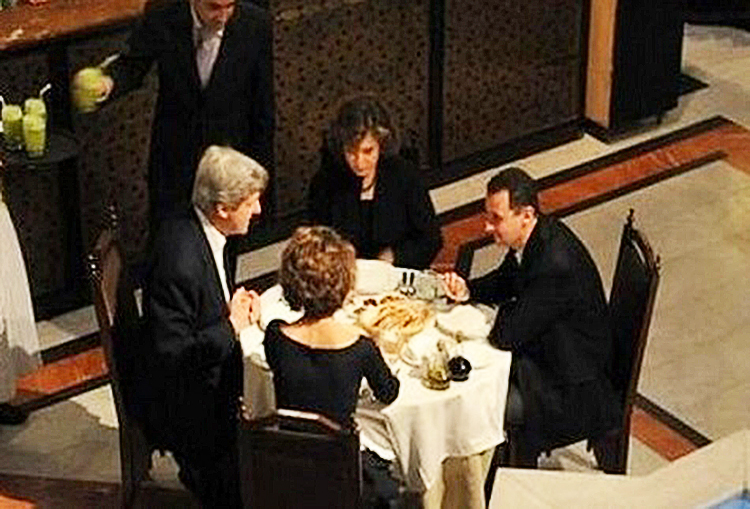 ‘Secretary of State John Kerry is calling for the overthrow and murder of his friend, Syria’s president Assad, claiming definitively that he used chemical weapons against his own people. Syrians from all walks of life have joined a human shield campaign to help protect the country from potential foreign military action. A group of people, including artists and athletes, participated in the campaign dubbed “Over our Dead Bodies” on Monday. The participants are shielding key facilities in the capital, Damascus, pledging to stand their ground until the military threats are stopped or they are killed. The organizers of the campaign said that they have received calls from all over the world asking for permission to join the movement. The campaign comes as amid threats of foreign military intervention in Syria. We have just released the Second Edition of Towards Healthcare Emancipation eBook. The proceeds from this book will be used to fund our next project, Towards Energy Emancipation. The aim is to make the subject of free energy more understandable for the layman so that anybody could replicate and install his own power plant and be completely living off-grid. If you haven’t done so, please like our FB page to encourage others to learn more about our work. Thank you very much for your valuable support. 13,341,471 views | Thank you for flying with us!